A lethal virus, called EEHV (elephant endotheliotropic herpesvirus), is causing the death of young elephants globally both in the wild and human care. 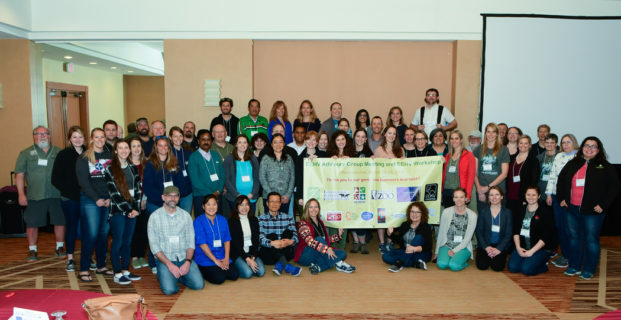 Determined to find solutions to protecting elephants from the virus, researchers, veterinarians, virologists, scientists, elephant care specialists, and conservationists came together for the bi-annual North American EEHV Workshop this week in Houston. The EEHV virus is carried naturally by African and Asian elephants. It can cause severe disease in elephants primarily between 1 and 8 years of age. In its most severe form, the virus can cause a hemorrhagic or bleeding disease that can be fatal usually within 1-5 days of signs of illness. Attendees included 13 international representatives from countries including Thailand, Myanmar, India, Belgium, Denmark, Rotterdam, the United Kingdom, Canada, and Mexico. More than 100 experts from four continents participated and 20 more dialed into the meeting which included presentations and discussions on the progress in scientific research such as improving detection and treatment protocols that have helped save some calves when the virus strikes. Often considered a high threat to Asian elephants, with increased surveillance the virus is being found in more African elephants, including two calves at the Indianapolis Zoo that died from the virus this month. By researchers sharing information globally, the elephant conservation and care community are finding ways to reduce the devastating impact of EEHV. 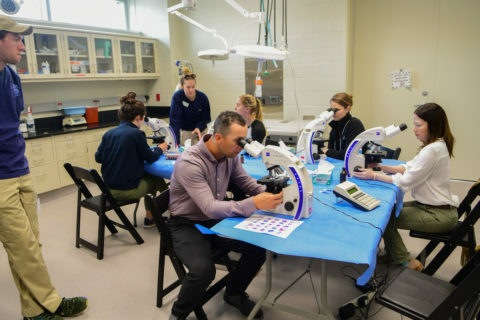 Workshop participants visited laboratories at Baylor College of Medicine, which is one of the leading research centers working on EEHV; and the Houston Zoo, where participants learned the latest techniques for training elephants to voluntarily participate in their care that includes regular blood samples and treatments when needed, in addition to a hands-on laboratory where participants practiced diagnostic techniques on blood samples. Sponsors for the conference include Houston Zoo, Smithsonian’s National Zoo, Elephant Managers Association, Oklahoma City Zoo and Botanical Garden, Fort Worth Zoo, Columbus Zoo and Aquarium, Albuquerque BioPark, Oregon Zoo, International Elephant Foundation, San Diego Zoo Global, the EEHV Consortium, and Linda Reifschneider in memory of Lily, Kenzi and all calves lost to EEHV. Facilitating research by building international collaboration. For more information about the EEHV and Advisory Group’s work visit, eehvinfo.org.